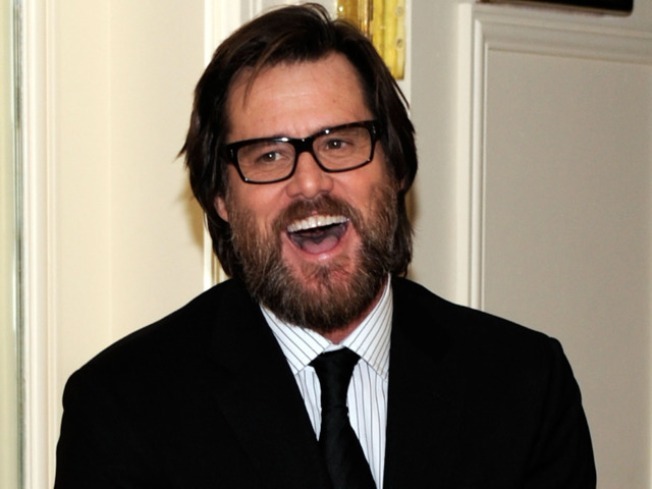 Watch out, Matt Damon — Jim Carrey's coming through. The comedian has promised to gain 40-50 pounds for his role as Curly in "The Three Stooges" — more than the 30 Matt put on for "The Informant!" — and he showed off a chubbier figure on Thursday night at UCLA's 2009 Visionary Ball in Beverly Hills. Weight wasn't the only thing Jim's added to his look — he wore glasses and had grown a full beard. Partner Jenny McCarthy, who stood by Jim's side on Thursday, previous told Access Hollywood's Billy Bush that she was looking forward to "dating Curly." "He said, 'You know, I'm going to have to gain 40-50 pounds for this role.' And I said, 'Oh my God! I get to be dating Curly!' That is the greatest thing ever," she told Billy in April. "The Three Stooges" is expected in theaters in 2010. PLAY IT NOW: Jenny McCarthy Goes Green For Charity!